Since the old website hasn't been updated in over 2 years, I thought I'd post a couple of old news, just in case you missed a couple things. 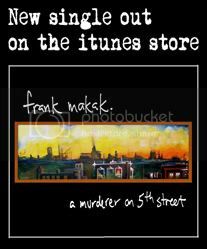 In May 2010, I released a new single for the song "A Murderer On 5th Street". 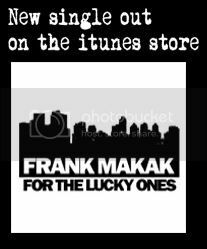 The single is available online only, on the itunes store, on CD Baby and also, for the people in the USA, on Amazon. Check it out! In other news, my album "A Cause Without A Devil" is now available at HMV in Canada. 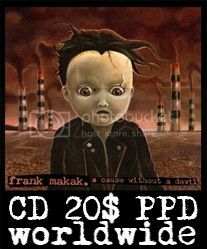 The CD is already in stock in most HMV stores in the province of Quebec, and can be ordered in every store in Canada. So, go to your local HMV to get yourself your copy (or your second, third or fourth copy - it's alright), and if they don't have it, ask them to order it! 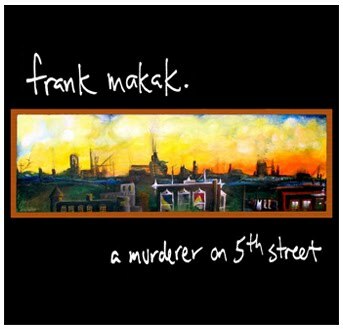 The album is also still available through Paypal on this very page in the online store section.